Following the shameful scenes which occurred in the aftermath of last Saturday’s Scottish Cup Final, Club 1872 has spent the past few days gathering witness accounts and information from supporters who were present. We have liaised closely with Rangers to pass on the information we have received. In the first instance, we call on the Scottish FA to request the immediate resignation of Hibernian Chairman and SFA Vice President, Rod Petrie from the SFA board. His comments immediately following the game, and since, have been an absolute disgrace. How can Mr Petrie justify describing the violent acts of his supporters as “exuberance”? How can he justify the lack of any apology to Rangers for the attacks on our players? We welcome the announcement by the SFA of an independent enquiry but Mr Petrie’s comments are entirely at odds with their approach. Had it not been for the match officials and Rangers own security staff, the assaults on our players could have been considerably worse and they have our heartfelt thanks for their actions. Having taken time to consider all the facts, our anger over the treatment of our players and supporters has, if anything, increased. We are in receipt of a large number of accounts from supporters with young children, disabled supporters and others who witnessed our players being assaulted, fellow supporters being threatened, spat on and abused and widespread disorder yards from where they were seated. It is absolutely clear from these accounts that many Rangers supporters feared that Hibernian fans were going to enter the Rangers sections of the stands. The narrative being constructed by some – that hundreds of Hibernian fans who charged straight to the Rangers end of Hampden were intent on doing anything other than violently confronting Rangers supporters – is absolutely absurd. It is clear that for several minutes there was a breakdown of security procedures in the stadium. We are keen to assist Police Scotland and the SFA’s independent enquiry in any way we can to discover why that was and will forward all relevant information to them. It is very important that they understand how the events of Saturday unfolded from the perspective of our supporters. At the full time whistle, mounted police charged through Rangers supporters leaving the stadium peacefully from the rear of the South and West Stands. Clearly they were attempting to reach the stadium as quickly as possible but why did they do so with what appeared to be little regard for the safety of our supporters, in a confined space and in such an aggressive manner? From timings taken from those leaving and those who were still in the stadium it then took the mounted police around 5-6 minutes to actually enter the field of play to deal with the chaos caused by Hibernian fans. When they did so, they approached the Hibernian fans, who were engaging in widespread disorder, assault and vandalism, in a much more controlled and respectful manner than was shown to law abiding Rangers supporters outside the ground. We will be seeking a meeting with Police Scotland to understand why this was the case and to ensure there is no repeat. Club 1872 fully supports the Rangers statements on this matter and commends the restraint shown by our supporters in the face of extreme provocation. This is not the only time recently that Rangers supporters have been subjected to this type of behaviour from rival fans. We still await a proper conclusion to the SPFL investigation into similar scenes from Motherwell fans last year at Fir Park. A climate is being created within Scottish football, and Scotland as a whole, where Rangers supporters, staff and anyone connected with the club are seen as fair game by an unpleasant and active minority who attach themselves to several Scottish football clubs. The bile generated by these people, which has its root in social media but has moved into areas of the mainstream media and politics, is now translating into acts of violence. Not only were Rangers players assaulted on the field of play but Rangers supporters were attacked as far away as Edinburgh after the game. The bile, hatred and resulting violence shown towards Rangers needs to stop before someone is more seriously hurt. The Scottish Government, politicians, media, the football authorities and other Scottish clubs all have a responsibility in this regard. It is a responsibility in which they are collectively failing. Only by standing together can Rangers supporters hope to redress the balance of how we are currently treated. 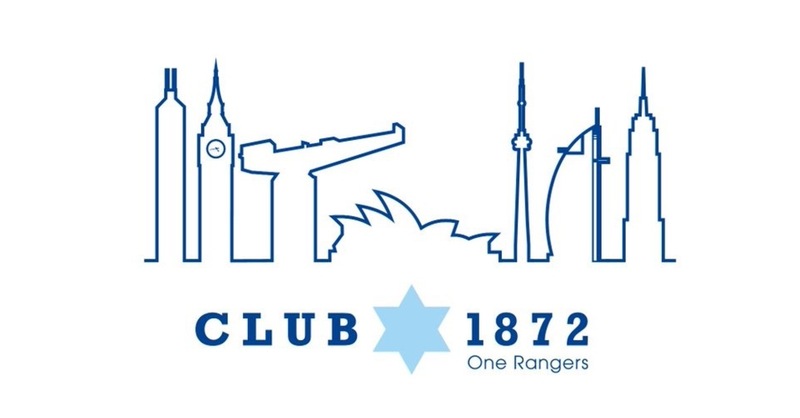 Club 1872 will give our supporters the platform to do exactly that and we ask for the support of each and every Rangers fan in those efforts. The dehumanisation of the Rangers support must stop now. Issued by Supporters Voice Limited, a Club 1872 company.